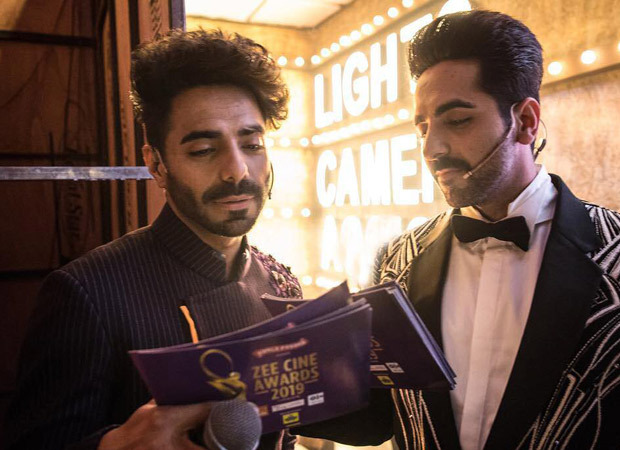 Ayushmann Khurrana and Aparshakti Khurrana are one of the good looking sibling duos. However, this throwback picture that Aparshakti Khurrana posted as a late post for National Sibling’s Day, will leave your jaws dropped on the floor. The boys are seen posing with beads necklaces and with the same style of beard. This picture is giving us some major flashback from the Roadies’ days of Ayushmann where he used to wear rectangular glasses. In case you didn’t know, here’s an example of how to praise and embarrass your sibling at the same time. On the work front, Ayushmann will be seen in Dream Girl opposite Nushrat Bharucha where he will be seen portraying the role of a guy who plays the role of Sita in Ram Leela and Article 15 where he will be seen playing the role of a cop. Also Read: The bromance between Kartik Aaryan, Ayushmann Khurrana, and Aparshakti Khurrana is unmissable!